360 MALL Summer Promotion is kicking off today! For every 15KD spent at any of the 85 participating stores, you get the chance of winning 2 Mini Coopers, Iphones, Ipads, or Mac book air laptops. Upon presenting your receipt to 360 MALL Customer Service staff, you can claim your coupon and enter the draw. The promotion duration is from 6th of June to the 5th of July with the first draw being held on the 20th of June and the second on the 7th of July. 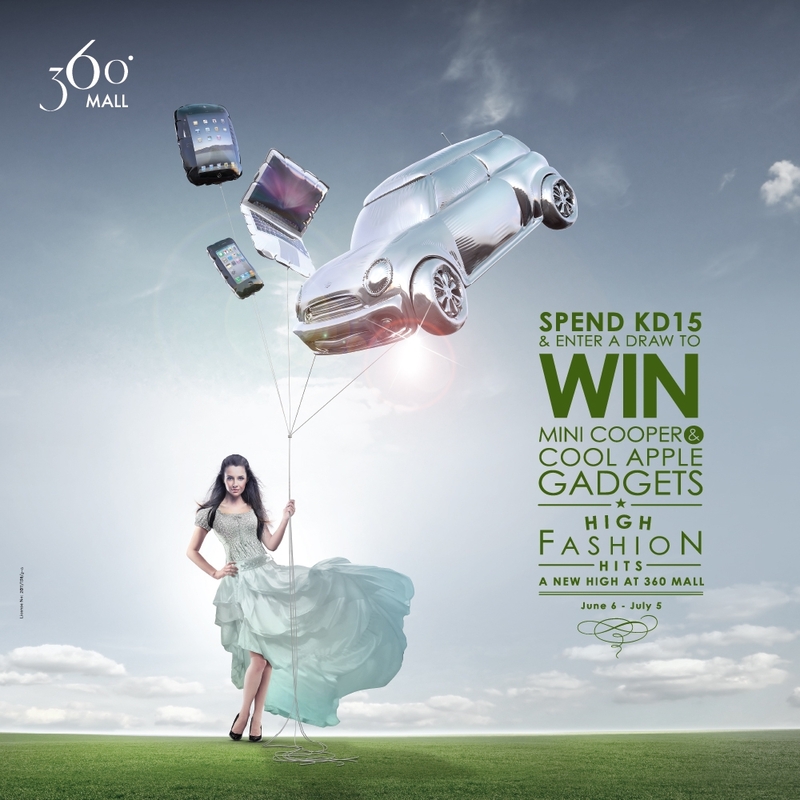 So escape the heat and enjoy shopping, dining and entertainment at 360 MALL’s luxurious shopping environment and you may win fabulous prizes.